Tagged as the most peaceful revolution, the February 1986 EDSA People Power made way for a president to vacate his seat without any bloodshed. But what if that failed? In an alternate universe set in the present day where EDSA failed, “Manhid – The Filipino Superhero Musical” shows the battle of good vs. evil in the form of superheroes and supervillains in a country that’s sick of apathy. Manhid means numb, kamanhiran means apathy. I think this is a good way to attract the youth and spark the “EDSA Spirit” inside them, especially for those who weren’t born when the revolution happened. Colorful costumes, songs and dances, special effects, and of course the superpowers, are some of the elements the college students and young professionals ought to watch out for. Hopefully, after the experience, there’ll be less apathy, and more love for country. 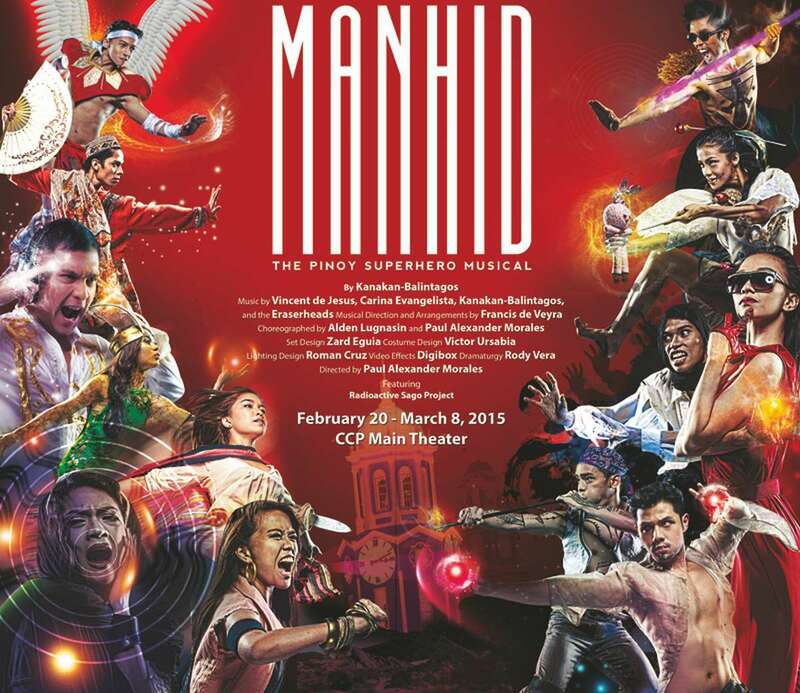 Manhid – The Filipino Superhero Musical is a remake of the original play of the same title staged in 1991 by UP TROPA in the Arts and Sciences Lobby of the University of the Philippines, Diliman. The artists behind it then were Auraeus Solito a.k.a. Kanakan Balintagos, Vincent de Jesus, Carina Evangelista and the Eraserheads. Today, the Radioactive Sago Project will take over where the Eraserheads left off to treat the audience with live music. Director and choreographer Paul Alexander Morales, and his team, put together ballet dancers, theater actors, and singers in the cast. Paul was 21 years old then when they staged the play back in 1991, and 24 years later, he’s excited to have it back with a bigger venue, bigger cast, and hopefully, a bigger impact in the hearts of the audience. Manhid is presented by the Cultural Center of the Philippines and Ballet Philippines Foundation, Inc. that has a three-week run. *Please check https://www.ticketworld.com.ph/Online/manhid for ticket availability and available discounts. For inquiries, call Ballet Philippines at (02) 551-1003. For tickets, call the CCP Box Office at (02) 832-3704 or Ticketworld at (02) 891-9999. ← How To Have An Interesting Steak? Try Wasabi Steak!